Much of this 2018 season has seen a large amount "of what might have been". There are various reasons for that, but between yesterday's loss in Baltimore and the loss in Oakland, the Cleveland Browns could make a legitimate argument for a 9-6-1 record, which would have given the Browns title of the AFC Central champions. Alas, we don't live in that world and the Browns had a victory taken away from them by the arbiters-just as in Oakland and fell to the Ravens 26-24. Baker Mayfield threw for 376 and three touchdowns to set the NFL record for rookie touchdown passes, but also threw three interceptions, including the game-ender to C.J. Mosley. Jarvis Landry grabbed five passes (including a score) for 102 yards and give Joe Schobert some kudos for his 10 solo tackles as well. The Browns finish the season at 7-8-1 and will pick 17th in the draft. 1) The play that cost the Browns the game and allowed Baltimore to go ahead of the playoffs is a play that never had to happen. Lamar Jackson's leap and stretch for the goal line came up short with the Browns punching the ball back to beyond the five yard line. Replays show four players in the screen when the ball was recovered and all four were playing for Cleveland and Jabrill Peppers picked the ball up and would have never been caught. The referee had already blown the whistle and called the touchdown. The replay overturned the Baltimore score, but because of the whistle, the Browns were given the ball at the seven rather than the score. Seven points off the board in a game lost by two. 2) Baker Mayfield showed why he's the rookie of the year and how he still has things to learn. His first interception was pretty bad as he threw the ball right to a defender, but he kept the Browns in a game that they were constantly battling from in behind in, showed leadership and put 24 points along with over 400 yards offense against the best statistical defense in the league. 3) I feel terrible for Nick Chubb, who moved over the one thousand yard mark during the game and later was thrown for a loss that saw him finish short of the mark for the season. Considering his numbers and the lack of use by the Hue Jackson/Todd Haley pairing, Chubb would have been far past the thousand yards with even mildly below average usage. 4) The Browns could have won this one without the referees had a long pass from Baker Mayfield to a wide-open Jarvis Landry not clanged off the receiver's facemask. Landry had a huge game without this play, but it could have been phenomenal. 5) On the 4th down interception that ended the game, give much more credit to Baltimore's C.J.Mosley for making a great play than Baker Mayfield for making a bad pass. Mosley suddenly arrived in an area that had an open receiver after Mayfield had already released the football. A super play by Mosley and one that Mayfield deserves no criticism for. 6) I also don't blame Gregg Williams for not trying a 57-yard field goal with Greg Joseph. Joseph's career high in college or the NFL was less than that and on a cold December day, I liked Baker Mayfield's chances of getting ten yards more than Joseph connecting from such a distance. 7) The Browns also were able to have good games from their secondary pass catchers with Antonio Callaway ( 4 for 79 and a score), Rashard Higgins (4 for 86) and Breshad Perriman (3 for 45 and a key catch on the final drive). I've always been a booster of Higgins since day one, Callaway was a character risk, but not one in talent in round four of the draft and Perriman looks like the player that he was at Central Florida more than the oft-injured disappointment that he played like as a Raven. I still would like one more WR, but I've seen a lot of improvement over the course of the season. 8) Credit Larry Ogunjobi for playing half the season with a bicep injury and still being a productive player. Ogunjobi, even through injury, has been the breakout player on defense this season. I'd love an upgrade at tackle beside him for next year, but when he is healthy next season, he's sitting on a Pro Bowl season. 9) Needs for next season in order of preference- WR, CB, DT, OLB. 10) Now that the Browns have decided to open up the field for the head coaching position, time to thank Gregg Williams for keeping things together and finishing the season with hope for 2019 that I wouldn't be likely to see coming had Hue Jackson finished the season. Williams 5-3 record was good enough to deserve consideration, but I doubt he's the choice. Still, Williams did a fine job and the steps forward this season are somewhat due to the job that Williams was able to do in a tough position. 11) I feel good about the future for the Browns. Of course, they need to get the head coach right and add a few more talented players through the draft and free agency, but with a strong off-season, I can see next season as a playoff possibility and it's been a long time since I have felt the way. I know that I said the last cleaning was the final one for 2018, but there are still some leftovers and I'd like to start fresh for the new year-especially with the Rose Bowl and final Browns game coming soon! We start with two passings, one of which I was waiting to do a larger feature on and never seemed to have the time, but watch for an upcoming Forgotten Superstars feature on David Pearson, NASCAR's "Silver Fox", who passed last month at the age of 83. Pearson, who was arguably the greatest driver in the circuit's history in its "Golden Age" (Yes, better than the better known and somewhat overrated Richard Petty) won the second most races in NASCAR history (105) behind only Petty's 200 wins, which sounds pretty clear-cut on the better driver until you consider Pearson's wins were accumulated in less than half the starts of Petty and Pearson would only drive three complete NASCAR seasons- winning the circuit title on all three occasions. I'll write more about Pearson down the road, but there was a reason a young R.S rooted for David Pearson on the rare occasions NASCAR was televised in the 70's and that when I wanted to give my buddy Miguelito a racing nickname for his skill on our trips-there couldn't be a higher compliment than to be named "David Pearson". The other passing of note was former Oakland Raider wide receiver Warren Wells at the age of 76. Wells was the Raiders best deep threat until the maturation of Cliff Branch in the middle 1970s and played only four seasons in pro football. Wells was plagued with off the field problems that basically ended his career when he was arrested in the locker room following the Pro Bowl for the 1970 season. A chain of issues resulted in Wells spending ten months in jail causing him to miss the 1971 season. The Raiders would release him after Wells wasn't the same player in the training camp session for 1972 and he would never play again. Wells caught 156 passes for over 3,500 yards with 42 touchdowns in only four years and still ranks tenth all-time with the Raiders in receiving yards. Wells career yards per catch at 23.1 was the NFL's all-time leader in that category until the league changed the required number of catches for qualification from 150 to 200 and Wells 158 catches would no longer qualify. You can only imagine his numbers, had he been able to stay on the field. In many ways, even though the problems were different, you might look at Warren Wells as his generation's Josh Gordon for wasted talent. 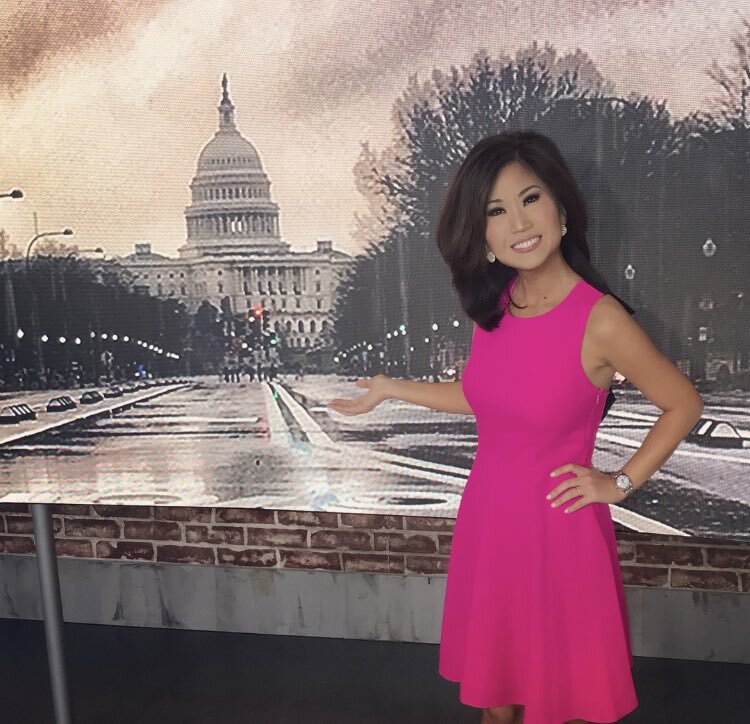 With me purchasing the MLB package for years, one of the pluses to that package is that I am able to see many of the various team's local television networks. I love the Giants network with their television crew of Duane Kuiper, Mike Krukow and Amy Gutierrez, who I have given so much of the credit for my Giants fandom, but when I watch the Indians, I'm not as a big of a fan and I often go to the visiting feeds to see some different pairings when they play the Tribe. I don't always watch the American League teams from California to hear their announcers, but I've written before about looking for the White Sox when Hawk Harrelson was behind the mike, but maybe my favorite AL broadcasting bunch is in Texas with the Rangers. I've written before of my childhood Ranger fandom before the trade that turned the ten-year-old R.S. along with his baseball world upside down and still have a soft spot for them (especially since they ditched the red hats). Emily writes a tribute to one of her favorite Rangers, the recently-retired Adrian Beltre, that talks more about the man and his family than the player that is certainly headed to Cooperstown as well as a long time member of my long-suffering and star-crossed fantasy team, Akron Rubber Ducks. Emily, as I mentioned, is a Texas Tech grad and that's a good bridge to the next article as the Los Angeles Times and Brady McCullough writes an extensive article on new USC offensive coordinator Kliff Kingsbury, who was recently fired by the Red Raiders. McCullough writes of Kingsbury's youth, his family, the tragic loss of his mother, Texas high school football, his time at Tech and even his problems being a single man in the coaching profession. Kingsbury comes off so well in the article and it's easy to see why he's so popular with fans and in the coaching community. I understand why Texas Tech felt it needed to fire Kingsbury, but there was a coach that would have likely been there for life and I think Tech was just on the verge of making a move in the Big 12. We'll see how well new coach Matt Wells will do, but I have a feeling that Tech might have cut Kingsbury loose too soon. Since the last cleaning of the inbox held plenty of notes on World War I, I looked up the SABR biography of Eddie Grant, who was killed in the Argonne Forest in France during the war. Grant, who played for four teams including the New York Giants, for whom he was playing when Grant decided to enlist in the war in 1917, was killed in the four-day search for the "Lost Battalion" in 1918. Grant was memorialized with a plaque that was in play in centerfield at the Polo Grounds before being pried off after the final Giants game in 1957 and was never seen again. The boxing challenge finishes for 2018 with two fights from Japan on ESPN+ and three world title fights without American television that I am aware of. On December 30, ESPN+ will show Masayuki Ito's defense of his newly won WBO junior lightweight title against Evgeny Chuparakov. Ito upset highly touted Christopher Diaz last time out to win the vacant championship. WBC junior flyweight champion Ken Shiro faces Saul Juarez for that title in the other challenge bout. 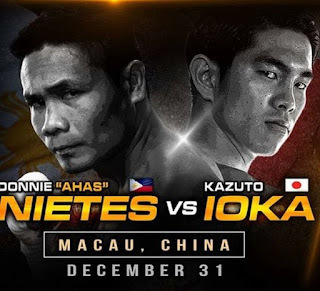 The most anticipated fight comes on New Year's Eve from China as Donnie Nietes battles Kazuto Ioka in what is likely to be an excellent contest for the vacant WBO junior bantamweight belt. Nietes, who has won titles in three weight classes, should have won this title in September but was held to a ridiculous draw against Aston Palicte in a bout scored so poorly that the WBO decided that Ioka was more deserving of the second vacant title fight than Palicte. Ioka, the former WBA flyweight Titleist returned on the same card after a sixteen-month retirement to win an easy decision over McWilliams Arroyo. I'm very much looking forward to seeing this fight, even if I have to scrape to find coverage. Hekkie Budler defends his WBA junior flyweight title against Hiroto Kyoguchi and Moruti Mthalane will do the same with his IBF flyweight title vs Masahiro Sakamoto in the undercard's featured fights. Our more than likely final Cleaning of the inbox starts with another reminder of anything that you would like me to answer about me, any hobby, sports etc for the upcoming Q and A.
I'll be doing that shortly after the new year. 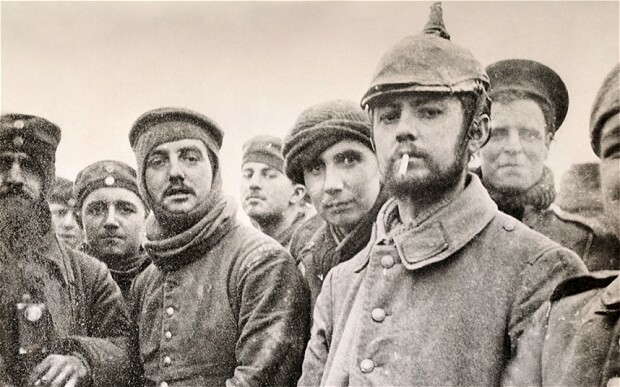 We start with the World War I Christmas truce story that is often written about during the holidays. I've scanned a few of these and this one from Britannica.com seems to be the best of the shorter reads on the topic. The very unofficial truce between the British and the Germans (that didn't occur between the French and German) in 1914 was looked down upon by the military higher-ups after it was reported on after the fact and would never occur after that for the duration of the war. The Atlantic also looks at World War I, but through the eyes of today with pictures of what the European battlefields look like today. The pictures are quite beautiful and yet haunting- I would highly recommend taking a look and I'd go even further to say that if one had the rights to do so, it would make an excellent calendar for someone to circulate. The New York Times food section writes of the sliding popularity of turkey brining over recent years. Brining, which is basically salting the meat in various stages, was traditionally done in a wet manner and recently has begun to be more popular in a dry standard. Many of the chefs questioned for the article even went as far to state their disdain for turkey, to which I give a resounding Boo. Few things are more enjoyable than a turkey sandwich with mayo, lettuce and dill relish on white bread for this author. Business Insider writes about the new Kindle Paperwhite. As those that know me already know, I've been a carrier of the Kindle Fire until this spring when I moved to the IPad when the port would not charge the fire anymore. Sidebar: If anyone out there is skilled in such things, I would still use the Kindle for reading should it be fixed. The new version of the Paperwhite is an E-Reader only, which has its positives and negatives, but a battery that needs to be recharged in months, not days and is waterproof as well. 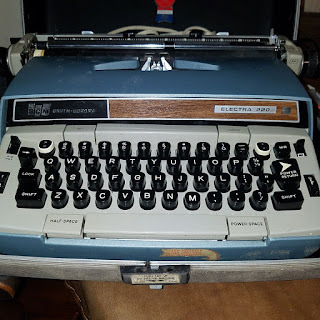 Rachel tells me that I don't need this, but the author of this article makes several excellent points on just what a fine addition the Paperwhite would be to my constant companion- my travel bag. Thanks to Joe Plum for findig this, where Forbes notes a recent discovery of a bird that has a rare three species combination and its genetic pattern between a Brewster's Warbler (a species which began as a hybrid itself) and a Chestnut-Sided Warbler is one that has never been seen. The article goes into far more detail than I will here on its genetic makeup, but it is interesting reading and it also discusses the likelihood of how the hybrid possibly could have been created and even the chances of it being able to (or a mate wanting to) reproduce. The bird was captured and outfitted by a small band around its leg, so scientists can track the bird and its various adventures. We wrap up with CBC's article on former Oilers and Falcons head coach Jerry Glanville, who is still coaching at the age of 77, but now for the first time in the Canadian Football League with the Hamilton Tiger-Cats. Glanville, who is assisting his former assistant June Jones in Hamilton as he once did for the University of Hawaii, led the Ti-Cat defense to the Eastern Final, where they lost to Ottawa 46-27. Glanville discusses his friendships with the late Burt Reynolds and Johnny Cash and chats about the differences between the NFL and CFL in pass coverages. Hope you all enjoyed the day!! The last big weekend in the 2018 boxing year saw a tremendous heavyweight battle with a clean knockout, one European taking the place of another at the top of a division, two disappointing performances and one of those ended in a terrible decision. The best fight was in London, where Dillian Whyte and Dereck Chisora hooked up in a rematch of their bombs away bout of 2016 that Whyte won by a narrow split decision that I scored a draw. This one wasn't quite of that caliber, but it still was very exciting and action filled (think of taking two tests and scoring a 95 and a 92, both are excellent, but one is slightly better) and the ending was quite dramatic. I had Chisora ahead 95-94 entering the 11th (6-4 with Chisora losing a point for a low blow in the eighth) before Chisora lost another point in the eleventh for elbowing. Just when you began to wonder if those two points had the potential to cost Chisora the fight on the cards, Whyte decided to make that point moot with a left hook that wiped out Chisora for the evening and keep Whyte at the top of the list of heavyweight contenders. Whyte deserves a rematch vs Anthony Joshua and may get it in the spring, while this might have been the last stand for Chisora, it was a strong one and it might be best for Chisora to step aside on a high note, although his effort in this one might earn him more paychecks. On the undercard in a fight that I've not seen of this writing, Britain's Charlie Edwards upset Cristofer Rosales via unanimous decision to win the WBC flyweight title. In Manchester, Josh Warrington retained his IBF featherweight title for the first time with a unanimous decision over the favored Carl Frampton. Warrington shot to the lead by winning five of the first six rounds and never looked back, winning on my card 117-111. Warrington isn't going to knock out many (only six KO's), but his attack never slows and he simply did not allow Frampton to get comfortable enough to fire back and keep Warrington off of him. The swarming Warrington throws punches by a rate that surpasses other noted volume punchers in the division such as WBA champion Leo Santa Cruz. Frampton was talking retirement after the fight and the time may be right for Frampton to step away. Frampton isn't getting hurt, but he hasn't been the same fighter since his winning first fight against Leo Santa Cruz and even though he's still a top ten fighter, he's dropped back from the best of the division. As for the victor, Warrington is rumored to be headed to the U.S in 2019 for a title unification fight vs WBO champ Oscar Valdez, which should be a good one, although selfishly, a Warrington unification against Leo Santa Cruz might set a record for combined punches in a fight. I'd still rank Warrington as an underdog against Valdez, Santa Cruz or WBC champ Gary Russell, but Warrington has surprised observers in his last two wins and he'd be a live underdog against any of the three. On the Warrington-Frampton undercard, former minor titleholders at middleweight battled in a fight to prove future viability with Hassan N'Dam winning a majority decision over Martin Murray. I scored the fight even at 114-114, but it seemed like N'Dam did a little more and was certainly more active than Murray, who showed a reluctance that he had not shown in past efforts. The PBC returned for a "reboot" on network television and it reportedly did reasonably well in the ratings after doing plenty of promotional work during football. The card pushed the Charlo brothers and while neither brother looked particularly effective, both deserved victories, but surprisingly only one received a raised hand. The cards were wider than I had it scored, with one ridiculous 119-108 scorecard being unfair to Korobov, who showed that he deserved another chance against good competition with a strong outing on short notice. Charlo now using the nickname "Hit Man" which both Thomas Hearns and Bret Hart should sue for damaging a trademark didn't score a knockdown, but he did have Korobov hurt in the final round. I'm still not totally convinced that Charlo will do well against the best of the division. In the shocker of the day, Tony Harrison stunned Jermell Charlo via unanimous decision to take away the WBC junior middleweight title in a fight that would be quickly forgotten if not for the terrible decision (I had Charlo winning 116-112), Charlo's charging that Harrison told him that Charlo had clearly won to the interviewer that Harrison had denied, shortly after Harrison had graciously called Charlo a great champion, told him that he would receive a rematch and Harrison (on live national TV no less) responded with "F You, I'll fight Hurd then", referring to a unification with Jarrett Hurd, who holds the WBA and IBF titles and was expected to fight Charlo next. A Hurd-Harrison fight would be fine to unify, but they have fought previously with Hurd stopping Harrison in nine rounds, so a rematch wouldn't especially be anticipated. I'd bet we'll see the Harrison-Charlo rematch instead and hope it'll be better to watch than this one. Charlo clearly deserved the win, but like his brother didn't impress doing so. Both Charlo's seem to be overrated as punchers and underrated as boxers and would seem to be most effective when they blend the two styles. As for the PBC, they learned a valuable lesson- when your fighters fight once or twice a year and you wait to have your best fight the best- anything can happen to derail the end game. Heavyweight Dominic Breazeale knocked out Carlos Negron in the opening fight in the ninth round in a stay busy fight until Breazeale recieves his mandatory title fight against WBC champion Deontay Wilder. Breazeale had not fought in over a year in a somewhat common occurrence among PBC fighters and needed to get some rounds in. In the boxing challenge, Ramon Malpica outscored me 6-4 over the weekend. My season lead was cut to 214-197. Ramon scored two points for wins by Breazeale and Charlo along with one each from Whyte and N'Dam. Baker Mayfield tossed three touchdown passes and Nick Chubb rushed for 112 yards on only nineteen carries as the Cleveland Browns won their third game in a row in a 26-18 blasting of the Cincinnati Bengals that was much more lopsided than the final score would indicate. The Browns had four receivers finish with more than fifty yards receiving and three different players with both tight ends, catching Mayfield touchdown passes. The Browns even their record at .500 with the win at 7-7-1 and despite having their longshot playoff hopes finished off on Saturday night when Baltimore defeated the Los Angeles (we could be San Diego) Chargers, the Browns will have a major role in who makes the playoffs next Sunday in Baltimore against the Ravens. A Baltimore victory puts the Ravens into the playoffs, should the Browns defeat the Ravens, Pittsburgh would slide into the postseason assuming that the Steelers defeat the lowly Bengals in Pittsburgh- only one will make into the field. The Browns will have plenty to play for- a winning record and increasing the chances of Gregg Williams retaining the full-time head coaching position for 2019. I was wrong about Baker Mayfield. I think there still is plenty to prove, but he's won me over. I can do without some of the antics and he'll be a guy you love if you have him and hate if you don't, but the Browns haven't had a "Screw You" type player like Pittsburgh's various defensive villains or Baltimore's favorite white-suited magician, so I think I can live with it for a while. 2) Jarvis Landry threw a long pass (63 yards) to the emerging deep threat from the waiver wire Breshad Perriman and showed a pretty nice gun. One never knows when a play like that will come up again, but it's nice knowing that Landry can make it happen. 3) This game wasn't as close as the eight-point final margin indicated. 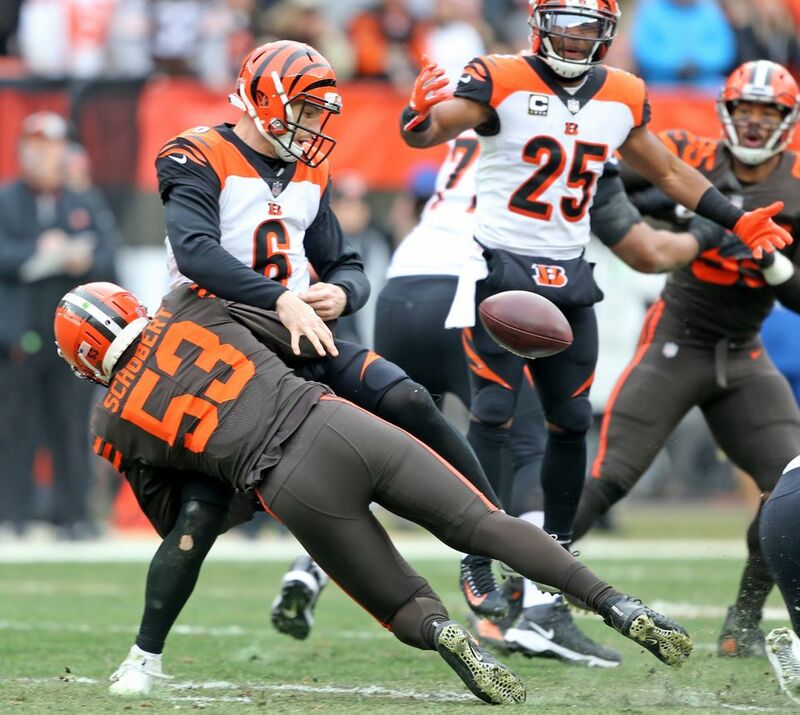 The Browns were up 26-3 with a few minutes remaining when the defense playing soft coverage allowed the Bengals to make their only sustained drive of the day and score a touchdown. The Browns were trying to run the clock out and were forced to punt and Cincinnati blocked Dustin Colquitt's punt to set up a short TD drive and two-point conversion for the final margin. 4) I'm open to the concept of keeping or moving on from coaches. I think both points of view have validity, but one coach that I would be moving on from in any event is special teams coach Amos Jones, who's special teams units had improved in recent weeks, but the punt block and penalties in the loss showed a return to "Normalcy" as former President Warren G. Harding once uttered. No matter the head coach for next season, there will some tweaks to the assistant staff roster- I'd start with Jones. 5) What's changed since Hue Jackson's exit stage left? Too many things to write, but one is the change in this team's attitude. 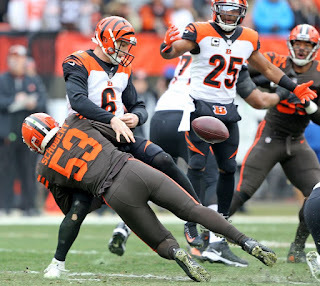 One example is when the Bengals Carlos Dunlap collapsed onto Baker Mayfield after Mayfield stepped out of bounds and seemed like half the lineup came charging at Dunlap in defense of their leader. Contrast that to when Mayfield was cracked on a helmet to helmet hit in Tampa and it seemed like the team was disinterested and you can see the change in attitude. was headed to the sidelines. Sure enough, Ward suffered a concussion and I'd wager that he will miss the last game against Baltimore. Ward's concussions/missed games could very possibly cost him the defensive rookie of the year award to the late charge of Denver defensive end Bradley Chubb. Anyone can be susceptible to concussions, but Ward seems to have issues and he will have to change some of his tackling/contact fundamentals to lessen his risk. 7) I know the Bengals have become one dimensional since the injuries to Andy Dalton and A.J. Green and have been carried by running back Joe Mixon and the Browns had to be prepared to stop Mixon as the Bengals only current weapon. Still, Mixon had rushed for over one hundred yards in the last two weeks and no fewer than 82 in his last four and Cleveland slammed the door on Mixon, who finished with only 68 yards on twenty carries with twenty of those on one late-game carry in garbage time. 8) The win improved the Browns home record to 5-2-1 on the season, which is their best home mark since 2007. Defending the home turf is the first step in turning programs around. 9) Even in missing the first two games (and half of the third), Baker Mayfield enters the final game against Baltimore with 24 touchdown passes. The NFL rookie record is 26 held by Peyton Manning and Russell Wilson, so the company isn't bad. One would think playing in those games would have broken the record. 10) The Browns are playing for a winning record next week against the Ravens, but the game means more than that in the playoff picture. If the Browns win over Baltimore and the Steelers win at home against the Bengals-Pittsburgh goes to the playoffs and Baltimore stays home. If Baltimore wins, the Ravens are in and Pittsburgh is out. Either way, one is in and one is out and I'm saved from another postseason meeting between these two. Nothing special to write about, but at this time of the year, it is easy to fall into a rut. Football and boxing take up the majority of the time here and other than a passings post or cleaning of the inbox, it's hard to find time to write anything else. 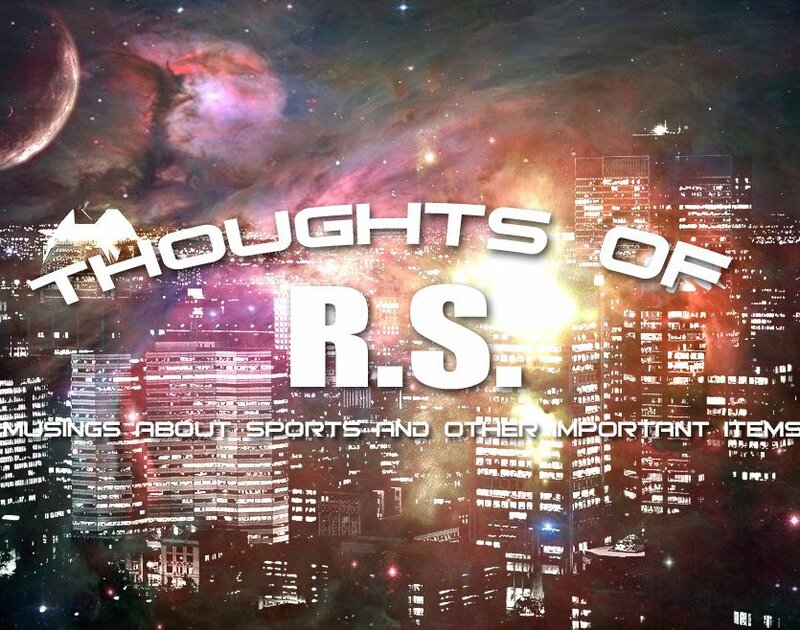 That will change in a few weeks when the Browns season ends and the Buckeyes finish the Urban Meyer era in Pasadena, then suddenly in a season without a winter team to follow every day, TRS will have lots of different things to write about and hopefully, you'll find them interesting. If anyone out there actually reads this, feel free to send me questions. I really enjoyed the Q and A, I did a while back, so feel free to ask sports, non-sports or even questions about me. I'm surprised sometimes after all these years of writing, how much people know about me and how much they don't know, so ask if interested- I can always decide not to answer! I also might have another list post in the future this winter as well. If I didn't know any better, I'd say the Dodgers trade with the Reds was a salary dump. I do know better though and I'd say they are scraping paint to find money for a chance to sign Bryce Harper along with rumors that have the NL Yankees seriously targeting Corey Kluber. If I'm the Indians, I don't see what the rush to trade Kluber or Trevor Bauer as rumored. The team is still the favorite to win the AL Central and Kluber is very affordable and under team control for three more seasons (2019 and two team options), so if I'm moving Kluber, I want at least three prospects and perhaps a 4th, if I toss another player into the deal. As for the Giants, signing veteran vagabond reliever Pat Venditte isn't exactly a big bang, but this team needs to take a step back and look for bargains more than high ticket items that will turn the franchise around. It'll be interesting to see just how the Giants under new management attempt to move in the off-season. Are they in full rebuild yet? Or do they attempt to move a few players in order to try to compete on a certain level? I've always enjoyed watching college bowl games and I still watch as many as I can, but the trend of top players not playing in them is a troubling one. I understand the financial ramifications with an injury and I would likely recommend that my son skip too if I was in that spot, but it's not good for the game and I'm not sure how it can be fixed. I watched a lot of boxing yesterday and I'm not finished watching everything yet, but as I watched the ESPN+ card, I also was watching the Armed Forces Bowl to watch Houston play Army. I picked Army to win since Ed Oliver was sitting out (see above) and record-setting quarterback D'Eric King was injured as well, I thought the triple option of Army would carry the day in a close game that could be entertaining for the different style of offenses. What I didn't expect was a 70-14 beating. Offensive coordinator Kendall Briles left before the game for the same job at Florida State (leaving days after signing the largest contract for an assistant coach in the country to stay at Houston) and with the various issues late in the season in Coog Land with head coach Major Applewhite's screaming match with Ed Oliver in front of a national audience, a defense that plays like a Big 12 defense, the departure of Briles and a bowl loss that set several records for a defeat and to Army for goodness sakes- Could Houston decide to let Applewhite go now or at minimum, he'll go into next season on the hottest of coaching hot seats? It's an interesting time for a program that seemed to be on the verge of a potential move up in status to one that seems to have driven off the road. Finally, I find I'm really looking forward to the AAF, which is the new spring league that will start the week after the Super Bowl. I've always been a fan of the new leagues and I'm trying to decide which team will be my favorite team and will have their games followed here. Without an Ohio team, which would have been a slam dunk choice since the league assigns players to teams territorially, I have a few contenders to decide from. The Arizona Hotshots have bright green and gold uniforms, I always liked their coach in Rick Neuheisel from his USFL playing days and for some reason, Texas Tech was assigned to the Hotshots as a territorial school and they are the early favorite. The San Antonio Commanders have the Houston Cougars as a territorial school and have interesting helmets with a logo on one side and the player's number on the other. The Salt Lake Stallions have cool blue and silver uniforms as the ice to the Hotshots heat. The more I see them, the more I can see them as a contender. The Memphis Express has the best name (I keep hearing Jim Cornette introduce the Midnight Express), coach Mike Singletary and I did root for the Memphis USFL entry. I think it'll be one of those four. Coming soon- Browns vs Bengals and the weekend in boxing including a shocker in Brooklyn! The 2018 boxing challenge "season" winds down with three fight cards on Saturday that could keep you watching boxing from just after lunch through ten o'clock EST should you so desire. Since I am a junkie, I'll be doing as much of that as I can (If I'm able to sleep, I might miss a little of the undercard of the first card) and we start in Manchester, England with the best world title fight of the weekend as IBF featherweight champion Josh Warrington defending against former WBA champion and the only person to beat current WBA beltholder Leo Santa Cruz in Carl Frampton. Warrington won his title in a mild surprise to some in decisioning countryman Lee Selby in May after it appeared that Selby would defend against Frampton in an anticipated bout in England with a win over Warrington. Frampton has won all three of his fights since his only loss in the rematch vs Leo Santa Cruz but hasn't dazzled anyone in the victory. 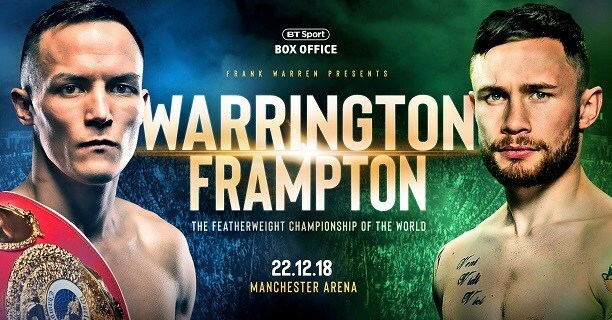 This should be very interesting to see how both fighters step up in class- Warrington has never fought anyone of Frampton's class and Frampton will need to show if he is still an elite fighter or has he taken a step back. The winner could face WBO champ Oscar Valdez in a title unification fight in 2019. The Manchester slate also includes former WBO middleweight champion Billy Joe Saunders in an eight-round return to action and Irish prospect Michael Conlan, but the other challenge bout is one of those oft-mentioned crossroads bout that I look at as one of those old-school pro wrestling "Loser Leaves Town" bouts between middleweight gatekeepers Martin Murray and Hassan N'Dam. N'Dam, who has won minor world titles twice, but has lost in each attempt to move up in status (Losses to Peter Quillin, David Lemieux and in his last fight Ryota Murata) faces Murray, who also has won two minor world titles, but has fallen short in each of four attempts (Felix Sturm in a horrible decision, Sergio Martinez, who Murray dropped in a fight that could have gone either way, Gennady Golovkin, and George Groves) for an actual world championship. The winner keeps hopes alive for an eventual title shot, the loser moves to almost journeyman status. Showtime moves to the forefront after that with the rematch of one of the best heavyweight fights in years as Dillian Whyte battles Dereck Chisora from London. The 2016 fight between these two, won by Whyte via split decision, was as good of a battle of the big boys as you'll find and Whyte has a possible rematch on the line against Anthony Joshua, so he'll be motivated. Chisora, who has had a spotty career with flashes of excellence, is coming off a KO win of former world title challenger Carlos Takam, so he's not finished by any means, but he's clearly the underdog. If this one is half as good as their first fight, you need to look it up. Cristofer Rosales defends his WBC flyweight title on the undercard against Briton Charlie Edwards. Rosales is looking to end 2018 on a high note after KO wins of highly regarded Daigo Higa and Irish Olympian Paddy Barnes this year. The action then shifts to New York with the PBC returning to Fox with a three-fight slate. Jermall Charlo defends his minor middleweight title against last-minute replacement Matt Korobov in the main event. Korobov has rarely fought since (four times in four years) and none of those against good opponents, the best of those being veteran clubfighter Brian Vera, so who really knows what he'll have to offer, but still, I find this more interesting than Monroe, who would have likely run from Charlo, who is still living off his one notable win in a KO of Julian J-Rock Williams. The other Charlo, Jermell defends his WBC junior middleweight title against Tony Harrison. Charlo, like his brother, talks well, fights well doesn't fight often and doesn't like to face anyone that can punch him back faces Harrison, who has won three straight since being stopped by WBA/IBF champion Jarrett Hurd, but has failed against top competition. Charlo didn't thrill me in his last fight, a close decision win over aging veteran Austin Trout and is expected to fight Hurd in his next bout in a three title unification fight, that apparently Charlo thinks is a pay per view fight. While I'd love to see the two square off and I think it would be very interesting, it is nowhere near a pay per view attraction as the main event, although if paired with another strong fight would make a helluva co-feature there. If it takes making that a PPV main event to get this fight signed, I'm not sure that will happen. Dominic Breazeale opens the show against Carlos Negron in a stay busy heavyweight fight. Breazeale will likely be the mandatory contender in the WBC for the Deontay Wilder-Tyson Fury rematch winner and he's not going to face anyone too tough and picked Negron, who has a glossy record with one loss, but whose biggest win is over trialhorse Derric Rossy. Another big week in college football with plenty of bowl action and the NFL playoff hunt in full swing. The bowl games are the games through next Friday. There have just been too many passings lately and I just cannot keep up with them. I will keep these to two posts and even though a few will be noted later, I would rather give the lives mentioned their due. 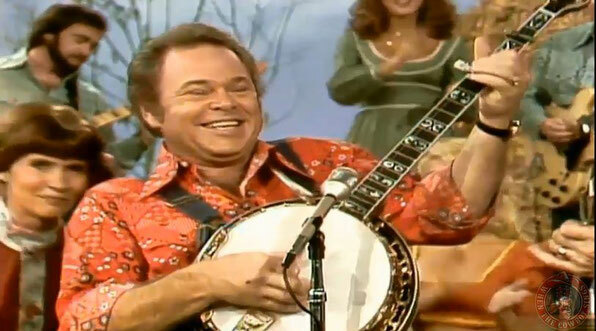 Goodbye to Roy Clark at the age of 85. Clark, who will be remembered by most for his stint as co-host of Hee Haw with Buck Owens, was also a standout guitar player, but his use of comedy saw him crossover into entertainment more than other country stars as Clark was the first person that seemed to call for a guest star that needed some type of "country" presence. Clark's music career was unusual to me as in he sold lots of albums, but other than his signature hit, "Yesterday, When I was young", Clark didn't have a lot of singles hits that immediately come to mind when you mention his name. If you look at his body of work, there are listings to be seen, but they don't pop to your head when you hear the name, Roy Clark. What does come to mind is Hee Haw, which to people of a certain age and living in certain parts of the country instantly brings memories to them. Hee Haw was loved by some, derided by many, but it was a part of rural life for over two decades and Clark was there for all of them- "Pickin' and a Grinnin" as the show often started. As silly as Hee Haw was (and it was considerably silly), watching it when I was a kid, it always seemed like it was Clark that was more at home with the show than co-host Buck Owens. Clark seemed to enjoy the show more than Owens and that may have been that Clark didn't have the popular music career that Owens did, so Clark didn't have the feeling that his music career faded because of Hee Haw and enjoyed the popularity from the television without the loss that Owens, who watched his record sales decline as Hee Haw moved on. Goodbye to Penny Marshall at the age of 75, with "Lefty" Koch sending word. Marshall, best remembered for her leading role in "Laverne and Shirley" passed from diabetes complications. As well thought of by so many as "Laverne DeFazio" that Marshall was, I'll remember her best from a show that I much preferred to "Laverne and Shirley" as she played "Myrna Turner" in the "Odd Couple". Myrna was Oscar Madison's secretary with an odd laugh and an awkward manner that made her funny yet relatable. Marshall would later become one of Hollywood's top directors with films such as "Big", "Awakenings" (a very underrated film) and the film based on the ladies baseball league- "A League of their own". All of those films were successful, but all of them had their own genre' and didn't stereotype Marshall as a director that needed to work on a specific type of film to succeed. Marshall would also produce films as well with the most notable being "Cinderella Man", the story of heavyweight champion James Braddock. Goodbye to Larry "The Axe" Hennig at the age of 82. Hennig, who might be best known to younger fans as the father of "Mr.Perfect" Curt Hennig and the grandfather of current WWE wrestler "Curtis Axel" was a main event wrestler around the country from the 1960s through the early '80s. Hennig was part of one of the top tag teams in the game with Harley Race based in the Minneapolis based AWA before Race decided to move to the NWA for a chance to eventually win the world title. Hennig stayed based in the Midwest where he would feud with promoter Verne Gagne for years as a single and then sliding into a legends slot, where occasionally he would return for a program. One Larry Hennig story came in the 80s when Hennig was teaming with son Curt against the Road Warriors. The Warriors were taking liberties with the smaller son and at the time weren't used to getting smacked around in return. On one occasion, this occurred and when Curt crawled to the corner and tagged the burly veteran, Larry Hennig came into the ring and worked over the younger Warriors to give them a lesson in 'working'. Goodbye to the Dynamite Kid at the age of 60. Deadspin writes in the article above about the varied legacy of the Kid, who was an innovator ahead of his time in the ring but was a bully in and out of the ring with his fellow wrestlers along with being a steroid abuser and domestic batterer outside of it. Dynamite Kid's matches in Japan with Tiger Mask stand up well even through the lens of today and were beyond advanced for the time. Most American fans remember Kid better as part of the WWF champion British Bulldogs with his cousin Davey Boy Smith, who as a team were just as cutting-edge with their matches with the Hart Foundation- Bret Hart and Jim Neidhart. Dynamite's in-ring career was famous for his "bumps" that were instrumental in breaking down his body and ended for the most part in Toronto with a basic bounce off the ropes that sent him to his knees with back pain that required serious surgery in a Bulldogs match against Don Muraco and Bob Orton. It wouldn't be a Dynamite Kid note without the outside of the ring issues, bullying other wrestlers,beating up those weaker than him and ribs that were more nasty than humorous, Dynamite Kid also beat his wife, threatened her, their children and others with guns among other abuses. We finish with the passing of another star that was once thought to have a future in professional wrestling as Bill Fralic passed away at the age of 56 from cancer. Fralic was Tony Mandarich before Mandarich as he was really the first offensive lineman of his time to be given national attention for his dominance. Fralic was the player that the "pancake block" was named for and Fralic was the second pick of the 1985 draft and made the Pro Bowl his first four years in the league. Fralic's body began to break down (he admitted steroid use after his retirement) and the question that I have is this- Had Fralic stayed healthy, would he have had a shot at Canton? Maybe, until he started getting injured, he was on the level of Kansas City's Will Shields, who would eventually be inducted. However, the other part of the question is this- How much of his success was steroid related? Fralic was one of the football players in the Wrestlemania 2 battle royal and even it was rumored that he might eventually wrestle and unlike the other players. Fralic peppered his promo's with some subtle heel inflections with a touch of arrogance that had many thinking that he would find success after football in the mat game. Fralic only would return to the WWF once as one of the unsuccessful challengers to bodyslam Yokozuna before Lex Luger was able to lift Yoko for the slam and would run his own insurance agency in Pittsburgh. 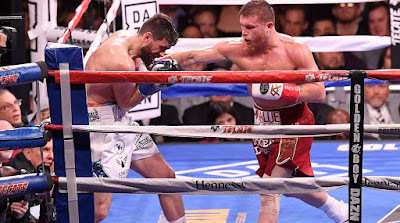 The Saturday debut on DAZN with Golden Boy Promotions was anticipated, even though it was expected that the star of the evening, Canelo Alvarez, would cruise through his fight. to be a card with clear-cut favorites. It was more than that though as some of the fights would never occur, but first, it's Canelo Alvarez who would win one of the WBA's minor titles and could now claim to be yet another multi-divisional champion ( one of my boxing pet peeves) in what was as big of mismatch as you'll see in a while in a third round detonation of England's Rocky Fielding. Alvarez dropped Fielding four times and I'm not sure that I can describe just how lopsided this fight was. Fielding was clearly the larger man and that was his only edge. I can live with these types of fights for active fighters, so I'm fine with this one since Canelo did fight Gennady Golovkin just three months ago, but I won't be so tolerant with another one next time. Two of the boxing challenge fights never happened as David Lemieux didn't make weight and his fight was Tureano Johnson was sadly canceled. That's too bad as that would have easily been the best fight of the evening. Lemieux and promoter Golden Boy needs to realize whether it's a lack of training or simply a fighter that has outgrown his division-Lemieux needs to move on to 168 and not sign for fights at 160 no matter how badly he/they may want to make a bout. While I'm at it-I feel terrible for Johnson, who lost a paycheck and training expenses and I'd like to add a new rule that state commissions could make and then enforce- IF a fighter does not make weight, his team is responsible for either full reimbursement of training expenses (if a fight's purse would have that be feasible) or if a prelim fight, a set sum that would at least help a little in making things right. Prospect Vergil Ortiz was not passed by the New York State Commission due to a past eye surgery. While I can respect that for looking out for the fighters safety, I wished someone could have figured this out before the day of the fight! This moved Tevin Farmer's IBF junior lightweight defense against Francisco Fonseca to the co-main. Fonseca tried hard, but Farmer dominated in a fight that both fighters were doing their best but settled into one round each resembling the last as Farmer won a unanimous decision (118-110 on my card). Farmer once again called out WBA kingpin Gervonta Davis in a fight that both seem to want but is unlikely to happen. 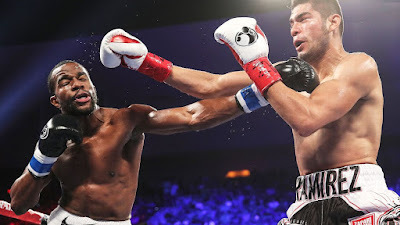 That left the only other challenge bout as former WBO junior middleweight champ Sadam Ali returned to his natural weight at 147 and shutout former junior welterweight contender Mauricio Herrera on his way to a unanimous decision. It was an ugly bout, not very entertaining and not one that saw Ali shine. All and all, not a great night for Golden Boy or DAZN, who I'll be discussing their presentation in a future post. Things aren't always going to fall the way the promoter/network wants them, but with the exception of Canelo doing what champions should do against overmatched competition- take them out early, this had to be a disappointing start to the GBP series on DAZN. In the boxing challenge, Ramon Malpica outscored me six to four on the weekend. Ramon scored two points each from Tevin Farmer and Sadam Ali and one each from Canelo Alvarez and Gilberto Ramirez on Friday. I added my four with two from Ali and one each from Canelo and Farmer. Jabrill Peppers was drafted as a "playmaker" out of Michigan in 2017 and was thought by some to be the type of player that would change games from the safety position. That had not happened in the first 29 games and in this season, Peppers had not notched an interception or a sack, yet twice it was Jabrill Peppers making a big play at the end of a half or the game to save the Cleveland Browns and allow the tiny playoff hopes of the Browns to live another week in a 17-16 win over the Denver Broncos in Denver. Peppers made a leaping interception in the end zone late in the first half to foil a Bronco drive, but the play that ended the game was after Peppers blitzed from his safety position almost untouched to drive Case Keenum to the turf on a fourth down attempt. Nick Chubb rushed for 100 yards and Baker Mayfield threw for both of the Browns touchdowns to lead the Cleveland offense in the victory that was the Browns first win over the Broncos since 1990. The Browns improve to 6-7-1 and will host Cincinnati next week. 1) In the first half when Jabrill Peppers made his interception, a Mr. Ramon Malpica made sure to tag me in a tweet that simply said "Peppers!". On this night, Peppers resembled the player that he was in college, finishing the game with six tackles, two for loss and the two impact plays. Perhaps it's motivation, playoff contention as limited as it is or even a player beginning to mature, but if the Browns are going to receive this version of Jabrill Peppers, they might just be a very fortunate team. 2) Baker Mayfield had an inconsistent evening. The Browns marched down the field for a touchdown on their first possession that ended in a 31-yard strike to Breshad Perriman, but Mayfield struggled for a bit thereafter with an interception, a fumble and some less than on the money passing before his 4th quarter drive where he regained his touch including his dart to Antonio Callaway for what proved to be a game-winning score. Still, getting a win in a tough place such as Denver in your rookie season shows moxie, which is something young Mr.Mayfield has plenty of. 3) Gregg Williams made a fourth-quarter decision that could have cost him on fourth and one from the Denver 10, by deciding to go for it. Nick Chubb was swarmed over and gave the Broncos one final chance. It's one of those calls that define coaches because it is so difficult- kick the field goal with the occasionally inaccurate rookie Greg Joseph and a touchdown still beats you. Go for it and fall short, a field goal beats you and yet gain that yard, the game is over with Denver out of timeouts. I think I would have gone for it as well, although I won't criticize the actual play call. Sometimes coaches cannot win for losing. 4) Take Denver's Vance Joseph for example, down four with a four and one at the Cleveland six. Go for it and take your chances or kick the field goal, trim the lead to one and hope for the best. In either situation (Unless you get the first down), the Denver defense is going to have make a stand to get you the ball back. Joseph kicks the field goal. 5) The Browns entered the game with major problems stopping the run, but the defense closed the Denver ground game to just 32 yards. Pretty strong evening against Phillip Lindsay, who entered the game with 965 yards on the season and still finished it short of the one thousand mark. 6) The defense bent but didn't break, but Case Keenum showed that the Browns do have some distance to go and some talent upgrades are still needed. The Broncos attacked with the short pass constantly and Keenum was effective (31 of 48) in completing passes, but wasn't as successful downfield with a long of 24 yards for the night. 7) That strategy worked because Keenum doesn't have a big arm, but it also works because the Browns lack speed at linebacker. Joe Schobert will (and is ) a fine middle linebacker when he has speedy linebackers from the outside that are able to chase down ballcarriers or funnel them inside where Schobert can make the tackle. If you put Schobert or the injured Christian Kirksey for that matter in the position of running down ball carriers or receivers in space, their lack of speed is exposed quickly. 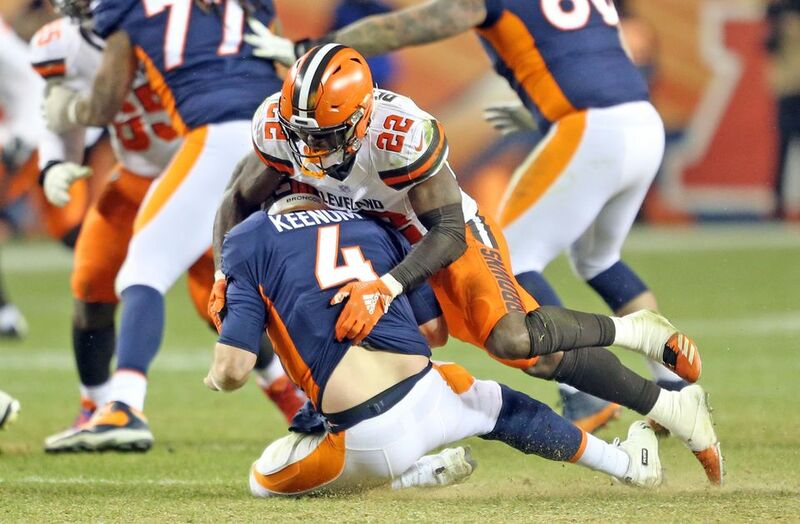 With the likely departure of Jamie Collins, look for the Browns to take a linebacker in the first two days of the draft and another on the draft's final day. 8) The return of Terrence Mitchell to the lineup after being activated from the injured reserve list was a help to the beaten up secondary which was without Denzel Ward for the second straight game. Add to that the fourth quarter interception by E.J. Carrie that led to the game-winning drive and despite giving up yardage, they didn't allow a score through the air and that's a pretty strong night all things considered. 9) Nick Chubb's night looks impressive (20 carries for 100 yards) and when you consider that was bulked up by the late run for 40 yards, I can see where some might say that's an artificially high number. I disagree, that run shows me that committing to the run with Chubb allows those late-game runs to occur because a big and physical runner is wearing down defenses and more of those breakaway scampers are going to happen. 10 ) The defensive play of the game that may have fallen into the shadows with the two plays by Jabrill Peppers and the E.J. Carrie interception is the stop by Trevon Coley on Denver running back Phillip Lindsey on 3rd and one from the Cleveland six, which led to Denver kicking a field goal when a touchdown would have given the Broncos the lead. That play happens at 5:29 to go in the game and the Brandon McManus field goal was kicked at 4;35. Not only does Denver have four plays to attempt to take the lead, if Lindsey gets to the marker for the first down, but they would also have possibly taken the clock to between two to three minutes unless the Browns used timeouts. I know there are a lot of "If's" involved, but Coley's play took that off the board to worry about. 11) I know it is easy to allow fans to get excited about playoff chances, as distant as they are. I'm not getting to that point yet. Let's see what happens today, take care of business next week against the Bengals in a game that the Browns will be favored to win, see what has to happen after that and then I'll start worrying about scoreboard watching. 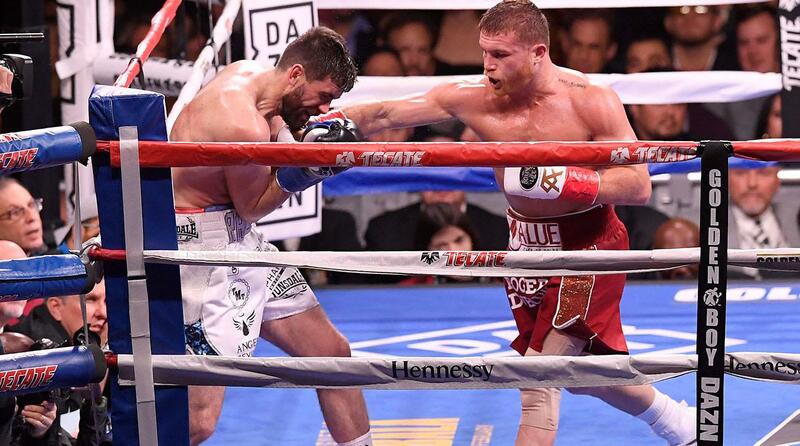 Back later with the Canelo Alvarez mismatch from Madison Square Garden. Labels: 2018 Football, Cleveland Browns, Denver Broncos, Jabrill Peppers, Trevon Coley. The PPM rolls on this rainy weekend with the beginning of the bowl season. I'll be picking bowl games through next Friday's games. Boxing Challenge-Ramirez wins in Crunch Time. Jesse Hart had called out WBO super middleweight champion Gilberto Ramirez for a rematch of their 2017 fight that was a decision win for Ramirez but saw Hart charging down the stretch as the stronger fighter to narrow a huge lead at the final bell. This fight was similar (Hart again mounted a late charge), a little different (Hart didn't get knocked down as he did in the first fight) and the fight lacked either fighter being seriously hurt as in their first encounter. Still, with Hart seeming to be the stronger fighter, Ramirez having spent a few rounds with what appeared to be an arm or elbow injury, the blocks were falling into place like Tetris for Hart to win the title for himself and his dad, the former contender Cyclone Hart for the perfect television story ending as we entered the final round. Sometimes, the predictable ending isn't the ending that occurs as almost simultaneously, Hart realized Ramirez was injured, turned into a fighter in cruise mode, Ramirez turned in a Larry Holmes-like final round as a one-handed fighter and landed more punches in a brave final stand to win the last round to earn a draw (114-114) on my card. The more important cards though saw Ramirez a winner via a majority decision (had Hart won the final round, Ramirez would have still retained his title via a majority draw) and an inconsolable Hart after the fight. Hart has no one to blame other than himself though as under the circumstances, it has been a long time since I've seen a fighter with so much to gain and with so many advantages entering the fight's end, just utterly lay an egg in such a manner. Just an absolute stunner after eleven rounds of a strong effort for Hart and for Ramirez, he showed heart and grit in overcoming injury to pull out a fight that could have gone either way. outside of Hart, he'll have an easier time finding better fights at the higher division so we could know soon, whether Ramirez is a nice fighter or a really good one as each of the four light heavyweight champions (Alvarez, Bivol, Beterviev, and Gvozdyk) are undefeated. Hart will have a good chance of being chosen to fight for the title likely to be vacated considering his two fights vs Ramirez, but he has to be kicking himself after the final round and if he was told he was far ahead by his corner, that's on them and I'd definitely consider changes there if that was the case. Most observers had Ramirez as the number one super middleweight, even over WBA champion and World Boxing Super Series winner Callum Smith, so there will be a shakeup in the division and although I favor IBF champ Jose Uzcategui as the best fighter in the division post-Ramirez, there will be much to be decided there- if the right fighters fight each other. 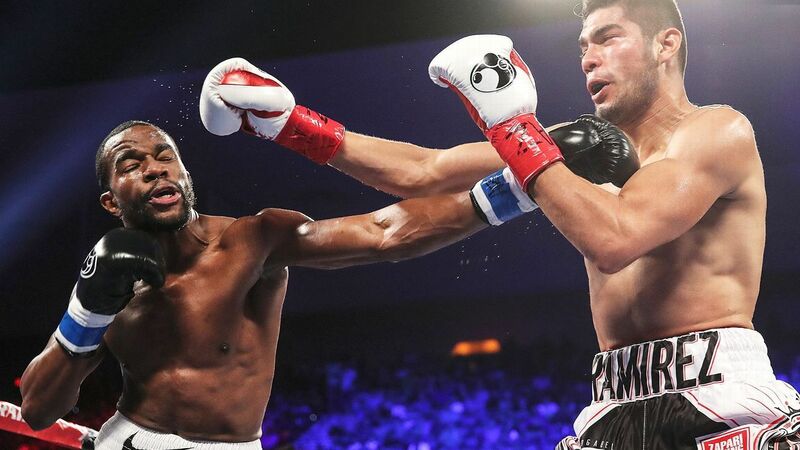 Overall, Gilberto Ramirez showed things that he never had to show before, while Jesse Hart returns to the gym and will have to wait for another time to attempt to erase the one that got away. Indians keep moving-Yonder Alonso to Chisox. The Cleveland Indians weren't going to be finished moving chess pieces after their three-team trade that added Carlos Santana from Seattle and Jake Bauers from Tampa Bay. That left veteran first baseman Yonder Alonso as the odd man out from a playing perspective (Santana switch-hits) and from a financial one (Alonso makes eight million in 2019 and has a makeable 2020 option if Alonso stays healthy in 2019 triggered by total plate appearances), so it was a natural fit for the Indians to move Alonso. The mild surprise was the destination for the veteran- the division rival Chicago White Sox, who not only have a bevy of young talent, both in the bigs and near it, but also are reported to be prepared to make a big charge at free agents Bryce Harper and/or Manny Machado in a final attempt to bring a championship to aging owner Jerry Reinsdorf. Alonso in a side note that I didn't know before this trade is Manny Machado's brother in law, so could that play into this trade? If so, it's a small factor as I doubt that anyone pays nine million for a player in the hopes that his brother in law will sign with you. The 31-year-old (turns 32 shortly after opening day) signed a two-year deal last winter as the Indians attempted to replace (ironically enough) Carlos Santana after Santana signed with the Phillies and the return was a mixed bag. Alonso, who was one of the players mentioned most as gaining from the then-new "Launch Angle" craze in 2017 with a career-high 28 homers after a previous high of nine, maintained his power as he hit 23 homers for the Tribe. However, he only collected 19 other extra-base hits (all doubles), struck out a career-high 123 times and continued to not hit lefthanded pitchers well (,223 and 4 homers), so he'll need to be platooned. The signing of Alonso was far from a flop, but I wouldn't say that he replaced the production of Santana either and with making nine million for 2019 and an option that could be activated with Alonso staying healthy, it makes sense for the Indians, who always look to strain money from the skim, to try to save those dollars. Still, being able to stash that cash away does have one huge benefit- the Indians may have managed to save enough money in trading Yonder Alonso and Edwin Encarnacion (and the six million that they are receiving from Seattle doesn't hurt either) that they may not feel compelled to be forced to trade either Corey Kluber or Trevor Bauer for financial reasons, although they still could for baseball reasons as the outfield is still a problem zone even with the addition of Jake Bauers. Of course, when you trade a player making that kind of salary and you want the new team to pay all of that, the return will never be as strong as it would be if you were willing to pay some of that total and it wasn't this time either as the White Sox traded minor league outfielder Alex Call to the Tribe. Call was the White Sox third rounder in 2016 from Ball State and the 24-year-old played for High A Winston-Salem and AA Birmingham last season, hitting a combined .248 with 12 homers in 123 games at the two stops. In other words, Alex Call is another outfielder that seems to fit the Indians template-average power, mildly above-average speed and often a college draftee. Call's ceiling would see him in Cleveland eventually, but with the impact of the Tyler Naquin types that have populated the system for years. Again, you cannot expect an elite prospect when the other team is eating the entire contract, so whatever Call does in Cleveland is a bonus. I'd expect Call to be assigned to AA Akron. A side note- what is this team's aversion to developing power hitting outfielders? They haven't drafted one near the bigs since Clint Frazier (Will Benson has been drafted, but being at Low A, I'm not counting him yet), haven't developed one since trading for Grady Sizemore, who started in High A with the Indians organization and haven't drafted/developed one since Manny Ramirez!!! Here is a list of just first round outfielders (including sandwich picks) picked by the Indians since 2000. I know there is more to developing players than just first rounders, but for reference. Back later with the WBO super middleweight title on the line between Gilberto Ramirez and Jesse Hart. The boxing year of 2018 nears its end, but there are two cards this weekend, one on Friday and the other on Saturday with arguably the biggest name ( not best, I said biggest) in the sport. First, on Friday night, ESPN+ puts forth a very interesting rematch from 2017 as Gilberto Ramirez defends his WBO super middleweight title against Jesse Hart from Corpus Christi, Texas. 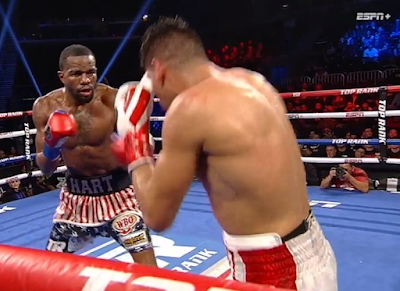 Ramirez dropped Hart early in the fight and built a huge lead on the scorecards, but Hart won several of the late rounds and appeared to have hurt Ramirez in the eleventh round. Ramirez is rated by many (TRS ratings included) as the best 168 pounder in the world, but other than Hart, the remaining top fighters in the division fight for other promoters/networks and Ramirez (Or Hart if he wins) may be a champion without a worthy contender in his future. 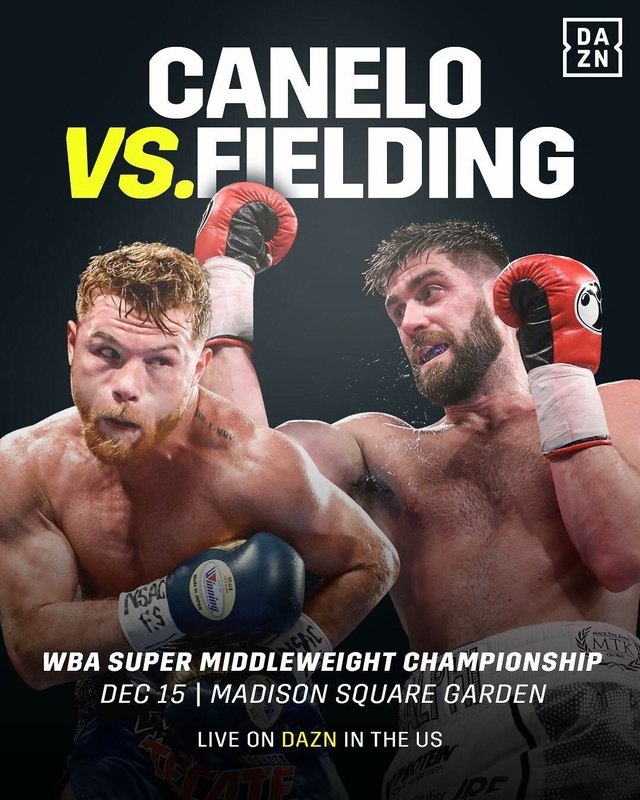 Saturday will see the debut of Canelo Alvarez on DAZN as he attempts to win a minor super middleweight title in what he says will be a lone fight at the weight before he drops back to middleweight to defend his WBA and WBC titles next year. The hand-picked opponent is England's Rocky Fielding, who upset Tyron Zeuge of Germany to win his minor title in his last fight in his only victory against good opposition. Fielding is a good puncher, but his chin has questions as in his only loss to current WBA champion Callum Smith, he was knocked out in one round. Canelo isn't a huge hitter at middleweight and will be a very small super middleweight against Fielding, but the class should tell. The undercard will have some interesting fights with the most exciting being a middleweight match between huge punching David Lemieux against aggressive Tureano Johnson. This one might feature a possible huge knockout as Johnson took a lot of punishment in a loss to Sergey Dereyvanchenko and if his punch resistance has reduced, this could get ugly. If Johnson still takes a shot well, this might be a really fun fight to watch. One of boxing's most active fighters defends his IBF junior lightweight title as Tevin Farmer against journeyman Francisco Fonseca. Farmer won his title in August and in four months as a champion will be making his second title defense. The slick boxing Farmer knocked out James Tennyson in his first defense and appears to want to be a more fan-friendly action fighter, while Fonseca was crushed in his only fight against anyone that you've heard- an eighth-round stoppage loss to Gervonta Davis, who now owns the WBA title, but before that encounter Davis held the IBF title now held by Farmer, but was stripped for failing to make weight. Farmer and Davis constantly snipe at each other at social media over a potential unification fight and Farmer's promoter Eddie Hearn made a big offer for Davis to fight full-time at Matchroom or come for a one fight deal vs Farmer, but Davis declined the offer. Former WBO junior middleweight champion Sadam Ali drops down to his natural weight of welterweight against former junior welterweight contender Mauricio Herrera and prospect Vergil Ortiz battles Omar Tienda in a junior welterweight bout to round out the challenge fights. The Rule 5 draft rarely yields huge impact players, but being that I see so many minor league games, I've seen so many players in the draft actually play, I've always enjoyed covering it. The Indians and Pirates passed on making any selections in the major league portion, but the San Francisco Giants under new organization head Farhan Zaidi were the only team to make two selections. 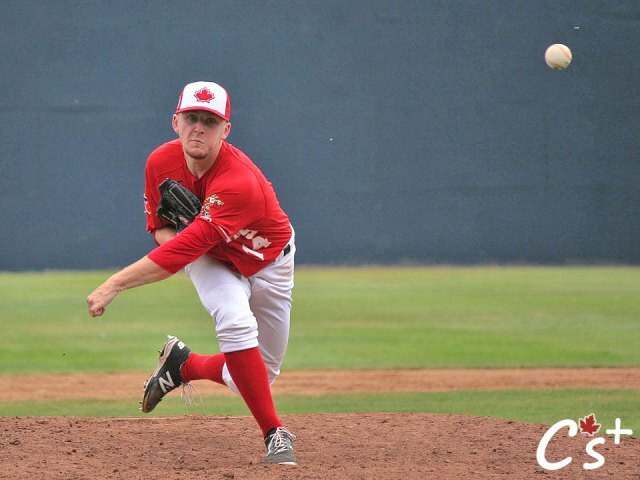 In the first round, the Giants selected left-handed reliever Travis Bergen from the Toronto Blue Jays. The 25-year-old Bergen was moved to the bullpen full time by the Blue Jays in 2018 and Bergen posted tremendous stats at High A Dunedin (1.71 ERA, 31 strikeouts in 21 innings) before exceeding those following a promotion to AA New Hampshire (0.50 ERA and 43 whiffs in 35 innings). Bergen throws in the low to middle nineties and I saw him pitch to one batter as a Fisher Cat, so I've seen him but one batter was pretty limited viewing. Bergen is also reported to have a plus curveball and the Giants might have a space to place him in if a trade comes through for either of their bullpen southpaws Will Smith or Tony Watson, both who have been mentioned in trade talks. Should Zaidi move one of the two veterans, I think Bergen would have a decent chance of sticking with the Giants, who would be forced to offer Bergen back to Toronto for 50,000 dollars, which is half of the cost the Giants paid to select Bergen. C's Plus baseball, a blog that covers the Northwest League's Vancouver Canadians, where Bergen started his career has an interview with Bergen here. The Giants selected outfielder Drew Ferguson from the Houston system with their second-round pick. Ferguson was Houston's selection in the 19th round in 2015 after playing his college baseball at Belmont University in Tennessee and has been plagued by injuries, having played a high of 113 games in a season and just 71 last season. Ferguson hit .305 with four homers in 65 games last season at AAA Fresno, has consistently hit for a good average and can play all three outfield positions. but has only hit double-digit homers once (14 at High A Lancaster in the best power park in the minors). Ferguson seems like a longshot to make the Giants roster, but when you have the dollars, why not take a look. Only one of the three teams lost a player in the Major portion as the Indians lost pitcher Kyle Dowdy to the Mets. Dowdy's arm that has touched 99 is apparently why he has had three teams interested in him and want to try to develop him because when you look at the numbers that Dowdy has posted, you wonder how he could be considered more than an organizational soldier. If the Mets do not keep Dowdy on the main roster for the season, they will have to offer him back to Cleveland for $50,000, which the Indians would likely pay as it seemed from their words yesterday that they were disappointed to lose him. In the AAA portion of the draft. where you can select players for $12,000 and keep their rights without having to offer them back to their former team. The Indians, Giants, and Pirates each selected two players and each lost players. Cleveland drafted lefty reliever Yapson Gomez from the Cubs, who split last year between Low A South Bend and High A Myrtle Beach and first baseman Wilson Garcia from the Orioles, who played last year for High A Frederick. Gomez will likely slot into the bullpen at High A Lynchburg.while Garcia pounded 23 homers for the Keys, but at 24 was old for the league. We'll see how highly the Indians think of Garcia if they give him a chance to start at AA Akron or use him as a veteran power bat at High A Lynchburg. San Francisco added second baseman Peter Maris from the Rays and relief pitcher Sam Moll from the Blue Jays. The 25-year-old Maris split 71 games between High A Charlotte and AA Montgomery and hit eleven homers. The soon to be 27 year old Moll was once a highly touted prospect but has never been able to flourish above AA, although he did pitch in eleven games for Oakland in 2017. Pittsburgh drafted another former Frederick Key in outfielder Randolph Gassaway and pitcher Winston Nicacio from the Cardinals. Gassaway hit .272 with six homers in 103 games for the Keys in his second stint in Frederick and seems to be a curious choice for Pittsburgh, although most of the players taken in this phase tend to be used as depth in the organization more than true prospects. Nicasio is 21 (22 next week), which is a little young to be in this draft and looked very impressive at short-season State College (42 strikeouts in 41 innings and batters hit just .206 against him), so he might be a little more of a prospect than a usual selection. The Indians lost three players- pitchers Matt Esparza and Hector Figueroa along with first baseman Anthony Miller. Esparza missed most of last season with injuries, while Figueroa is interesting to be selected as he is 24, never pitched above the Arizona rookie league and only 22 innings there. Miller hit .264 and eight homers in his second season at High A Lynchburg. The Giants lost two pitchers in Dusten Knight and Ian Gardeck along with outfielder Jeffrey Baez. Knight pitched very well from the bullpen for AA Richmond ( .205 batting average and 2.27 ERA), but at 28 has pitched just six innings above AA. Gardeck was a one time prospect before missing the entire 2016 and 17 seasons and pitched only 13 innings in 2018. Baez spent the last two seasons with the Cubs AA affiliate in Tennessee and signed with the Giants last month as a minor league free agent. The Pirates lost first baseman Jordan George and catcher Raeflin Lorenzo. George hit. 263 with five homers in his second season with AA Altoona. The 21-year-old Lorenzo hit .307 with three homers in 88 at-bats at Low A West Virginia after the Pirates drafted him from Tampa in the 2017 Rule 5 draft, so there's potential there, but in five seasons as a pro-Lorenzo has played in just 200 games. After the draft, the Pirates traded with the Padres for their draft pick, 21-year-old pitcher Cristofer Melendez, who has never pitched above the Dominican league in the White Sox system. Melendez was acquired for cash considerations. One former Hagerstown Suns player was selected as catcher Alex Flores from last years Hagerstown team was selected by the Houston Astros. Flores batted .216 with six homers in 66 games in the SAL. Indians strike in the trade market! Bauers,Santana in. Encarnacion and Diaz out. The Cleveland Indians are attempting to do arguably the most difficult in sports management-Attempt to contend while rebuilding at the same time. trying to add pieces to the puzzle to shore up a weak spot with the best opportunity to win in hand and sometimes it is a financial issue as the team needs to save some money and attempts to do so before falling to the league floor. Just in the little home, we have here, we've seen the Devils try it under Lou Lamoriello for years, just saw the Cavaliers attempt before realizing stripping down to the chassis was a better idea and even last season, the Giants spent money on aging stars Andrew McCutchen and Evan Longoria that saw an improvement for the team, but didn't see the team reach true contention. None of them managed to pull it off with great success, but the Indians have a chance with their starting pitching whether they keep them all intact or swap one or two to try to fill an existing hole for a longer term. The Indians returned Carlos Santana, who left the team for Philadelphia via free agency after the 2017 season to Northeast Ohio from Seattle (who recently acquired him from those Phillies) and added young first baseman Jake Bauers from Tampa Bay, who struggled in his rookie season but is regarded as still a viable prospect. Cleveland sent Edwin Encarnacion to Seattle along with one of their competitive balance draft picks, while shipping Yandy Diaz and a player to be named later to Tampa in return for the pair. Santana struggled in his only season in the National League as he hit only .224, although he did hit 24 homers. Still, Santana's major drop was in batting average as his other numbers stayed relatively in line for his standard stats and he walked 110 times, which narrowly missed (by three) his career high in that category. The Indians did attempt to keep Santana in Cleveland following 2017, but the well-heeled Phillies were able to outbid the Indians to land the switch-hitting veteran. Santana is under contract for the next two years (25 million) and there is a 2021 team option. 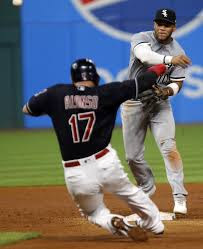 Santana will see time at both first base and designated hitter in a position share with Yonder Alonso, should Alonso return as he also has been a name floated in trade rumors as the Indians continue to try to become cheaper, younger, faster etc. The other name in this deal with some clout is Jake Bauers, who split the 2018 campaign between Tampa and their AAA affiliate in Durham. hitting .201 with 11 homers in 323 at bats. 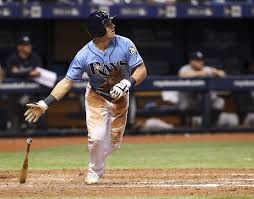 The 23-year-old Bauers moved through the Padres (Tampa acquired him in a trade) and Rays organization as a first baseman but began to occasionally spend time in left field in Durham last season. Bauers also knows how to work a walk (54), but struck out more than his share as he whiffed 104 times which is close to once every three at-bats, so there are a few questions about his ability to make contact at the big league level. At his age though, there have been plenty of players to struggle early and solve the riddle and Bauers is highly thought of, so I'm not overly concerned-Yet. Bauers might be the eventual first baseman, but for 2019 is more likely to try his hand at left field with the Indians currently question filled outfield. Leaving Cleveland will be veteran power hitter Edwin Encarnacion, who despite hitting 32 homers last season, seems to be in the process of losing bat speed. Encarnacion will thump his share of homers in Seattle, but his stats in the major categories have dropped in each of the last three years and he seems to be (with the exception of power) a player in some decline. At soon to be 36, the Indians are gambling that two years of Carlos Santana is superior to one of Edwin Encarnacion. Indians fans seem to be far more upset about trading 26-year-old Yandy Diaz than the immediate help of Encarnacion. Diaz impressed observers by hitting .312 in a 39 game stint in Cleveland, but it seems like fans and those observers were more impressed than the Indians, who returned him to Columbus. Diaz has ripped up AAA pitching for two seasons, but in his entire minor league career has never hit double digits in homers and one wonders if he will develop power at all. I'm not sure that I see Diaz as an everyday player at one spot and he might be best used as a Jeff Keppinger type as in a player that can be used at a few different positions but is a hit for average tool player. In closing, there is little not to like about this deal. Yes, Carlos Santana may be in the beginnings of a slowdown, but for only an additional four million (a pittance in baseball dollars), Cleveland will have Santana for two seasons rather than Encarnacion for one. Santana can be used in the field far more often and more effectively than Encarnacion and I think he'll be happy to be back in Cleveland where he never sold his home even after leaving for the Phillies. Jake Bauers is somewhat of a risk, but most young power hitters are when they first show up in the majors. One would wish that Bauers would have hit for a higher average or had more of a proven track record, but if that were the case, teams would not be trading for him for a singles hitting third baseman that was not proven beyond AAA. Bauers (Imagine the fun for announcers who will now have Trevor Bauer and Jake Bauers on the same team) is the type of high risk/high reward prospect that every team wants to acquire and some even feel were a success- Remember Matt LaPorta who was the main part of the CC Sabathia trade? It was LaPorta that was thought to be the future star, but it was the other outfielder in the deal that the Indians received the value, Michael Brantley. Boxing Challenge: Horn ends Mundine in One.